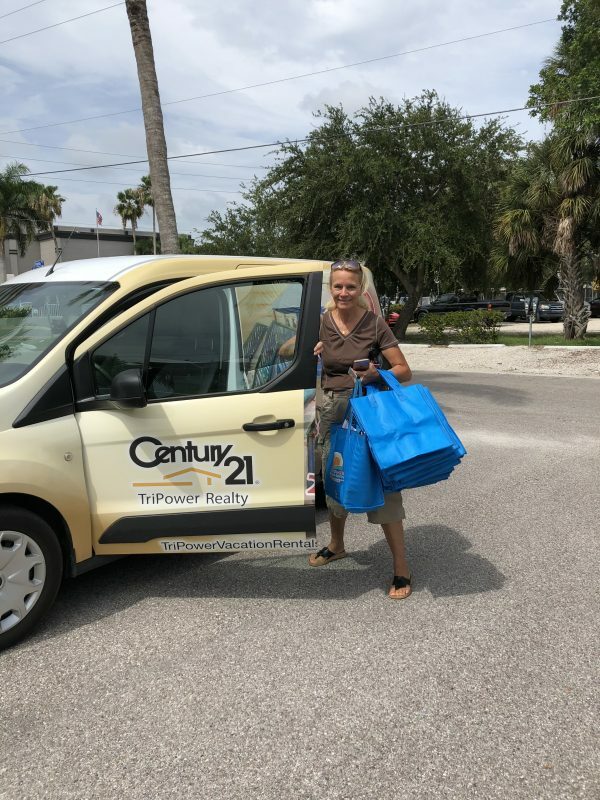 TriPower Vacation Rentals in Fort Myers Beach is a family business that was established in 1990 as a local resort vacation rental company affiliated with our real estate sales office to serve the island we live on. We started small: in a rented space with only a few properties. Our first rental manager was Ann Alsop who worked with us for 22 years and is known by many of you. 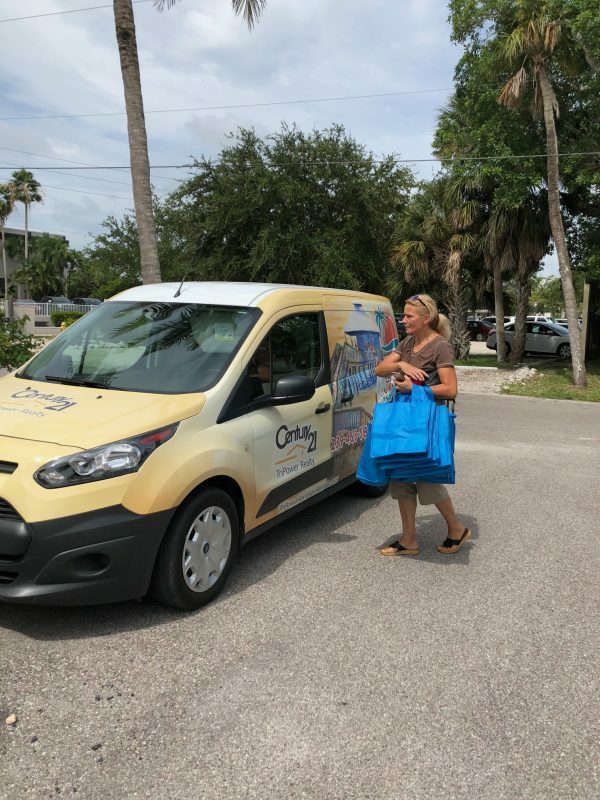 Ann still represents TriPower Vacation Rentals in a community capacity with the Chamber of Commerce and the Beach Kids Foundation. With Ann’s retirement, Amy Hidle became the manager of the rental department working closely with Owner, Judy Haataja, to oversee the operation. Our success over the years enabled us to purchase and renovate properties that have a prime location on the island in the Times Square overlay district of Estero Island. In 2008, we moved into our newly renovated, company-owned building at 2001 Estero Blvd. enhancing our presence in the resort marketplace. With 24 years of vacation rental experience, we know that with each day there is always an opportunity to make lives better. To an owner, a vacation home is an investment where they find their own enjoyment with family and friends. And to our resort guests, that same home is a home away from home for their own enjoyment and renewed pleasure. We’re here to help. Part of how we serve our guests is by doing inspections to ensure our quality of standards is met before new guests arrive. 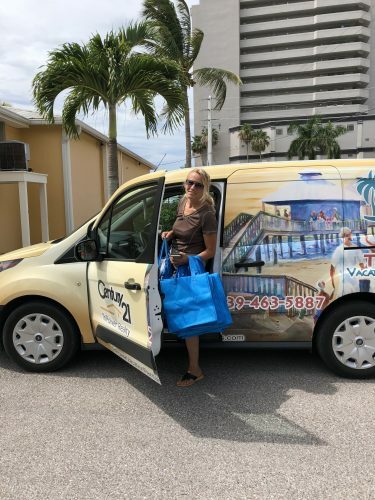 There goes Eva around town delivering our complimentary blue cooler bags as gifts to arriving guests after each inspection is performed. Thanks for choosing TriPower Vacation Rentals as your southwest Florida destination in Fort Myers Beach.